This close to Christmas, most kids are enjoying their Christmas holidays (or will be very soon) and the news of impending school holidays usually brings mixed reactions from parents. Some parents look forward to sleep-ins and lazy days spending time with their children without rushing round and constantly being late. Other parents wonder how on earth they are going to occupy their children’s time and energy during the long holiday days. 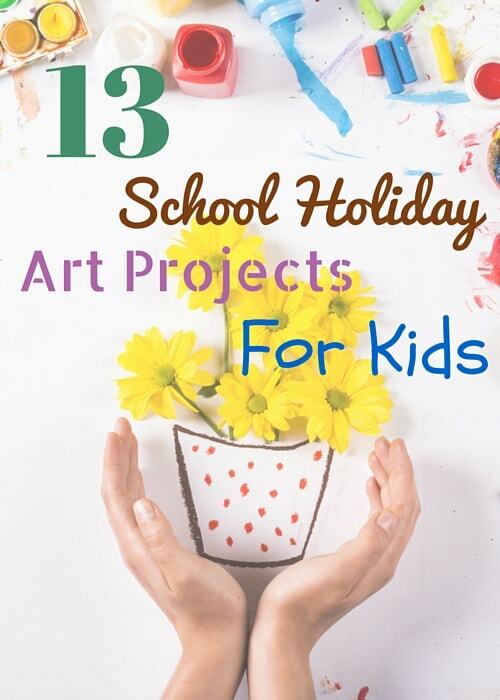 Regardless of your feelings towards school holidays, it never hurts to have some art projects for kids ready to go to fill in an afternoon. Here are some of the cleverest and most interesting art projects for kids we’ve come across recently. Teach your children about the world we live in while encouraging their creativity, all in the same piece of artwork. 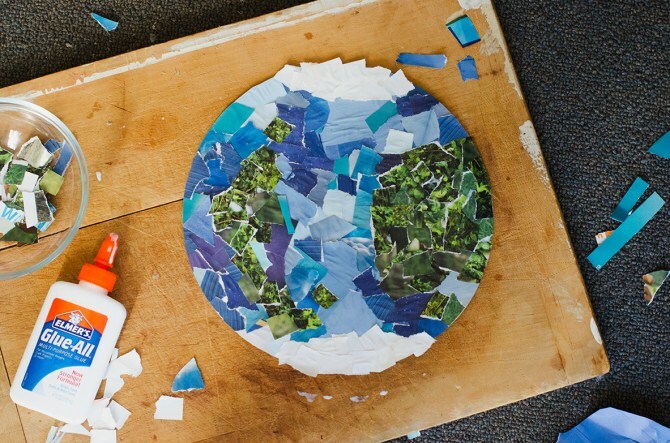 The interesting thing about this particular art project is that different children using the same materials can produce such different resulting pieces of artwork depending on how they view the world. The brilliant thing about this particular art project is that the end result makes a fantastic personalised gift. If you put the kids to work now they will easily be able to turn out as many Christmas presents as they need in time for the big day, otherwise they could post them to their relatives as a thoughtful and meaningful thankyou note for their Christmas gifts. This particular art project is clever in that, for younger artists at least, the end result will be as much of a surprise for them as a will be for anyone else. 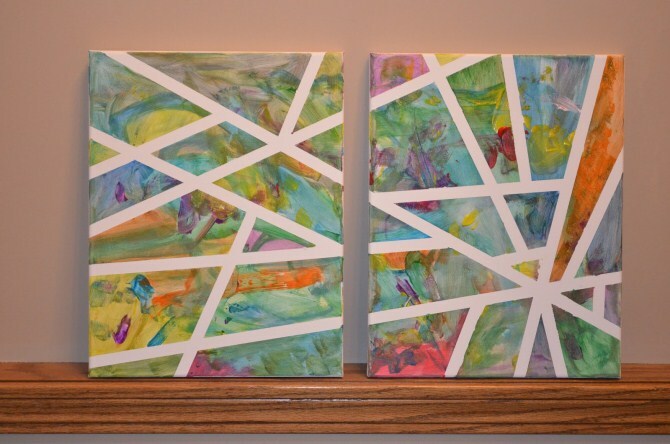 Your children will have fun splodging paint on the canvas at will, and then be delighted to remove the strips of tape to reveal the perfect white space underneath. If your child is interested in collections – especially miniature items such as stickers, stamps, or anything else that is relatively flat and small – a treasure chest will be the perfect way for them to display their passion. 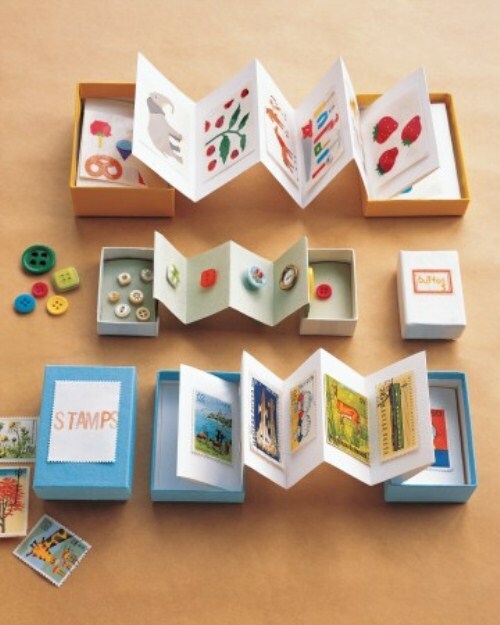 The process is simple, involving little more than cutting and folding a piece of paper to the right dimensions to suit your chosen box, but the end result is something children are likely to treasure forever. This is also a great way to encourage your kids to start a collection: once they see how beautifully otherwise uninteresting items such as stamps can be presented, they may be spurred on to look at these items in a new way. 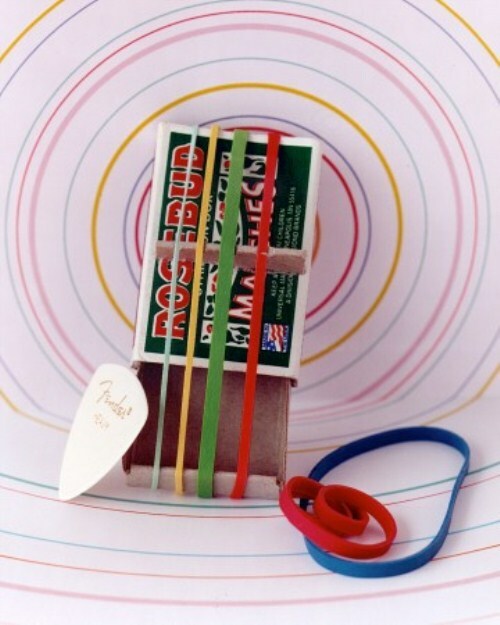 If you’ve got a budding musician, encourage them to create their own handmade guitar out of matchboxes and elastic bands. Done well, you may be surprised at the range of sounds that can be produced! Most people have tried their hand at potato stamping at one point or another in their childhood, so make sure your children don’t miss out on this important rite of passage. 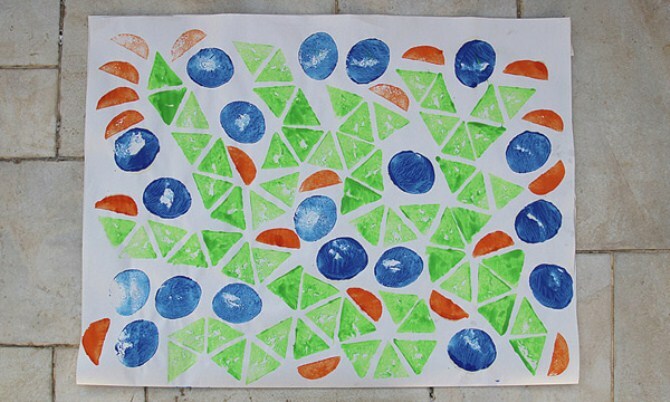 The perfect outdoor art project, potato stamping requires little more than a few unwanted raw potatoes, tubes of paint, and some large paper to print on. 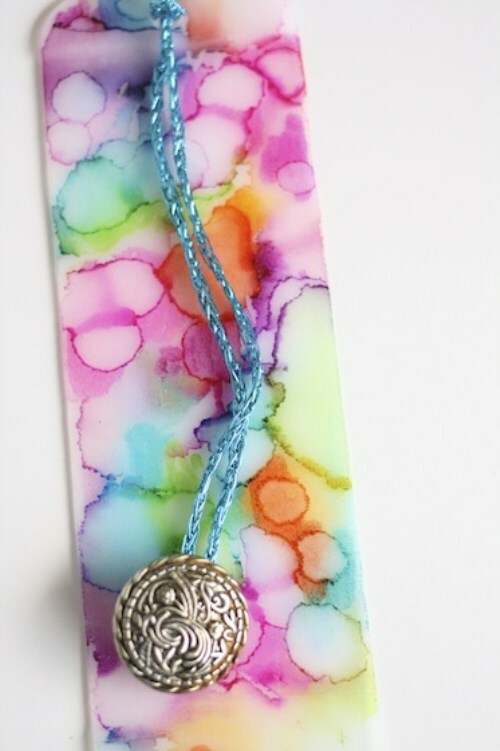 Completed potato stamp prints can easily be used later as wrapping paper or greeting cards. 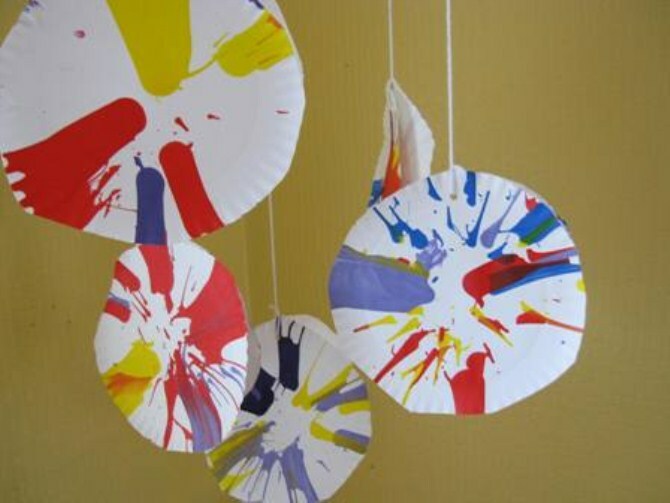 You may have seen spin art at a fair or carnival, but most people don’t know that you can create your own spin paintings at home including a regular salad spinner. The design possibilities are endless, and this is a rare art project that will appeal to toddlers, teenagers, and everyone in between. Salt sculptures are great fun to make, and can be quite addictive too. The sculpture itself is made from regular table salt and water, along with any kind of mold – purpose-made sand toys or even containers from around the kitchen. The colours are then added drop by drop using an eyedropper, and it can be fascinating to watch the colour slowly spread throughout the sculpture. You’ll go through quite a lot of salt when making these sculptures so it is a good idea to buy cheap salt in bulk beforehand, and keep an eye out for miniature molds so that you won’t be using up too much salt with each art piece. From all reports, this is an art project that even the adults will want to try their hand at. 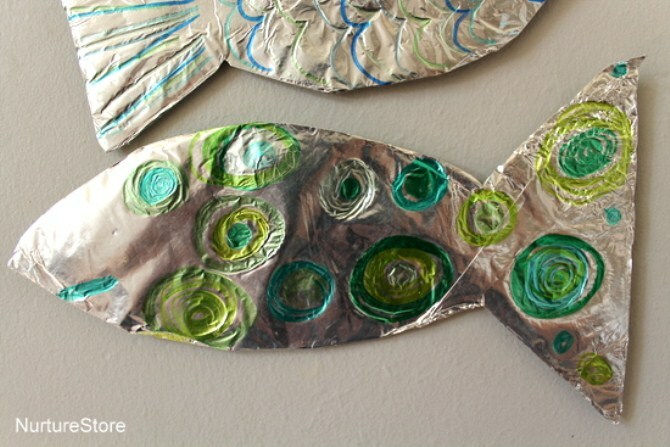 A clear favourite with toddlers and preschoolers, foil fish are simple to make and can easily be turned into a mobile to brighten up any room. 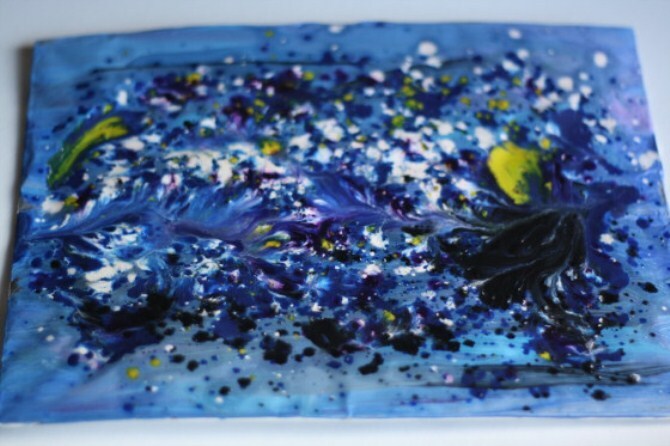 If you’ve never tried crayon melting – you must! There are several ways of going about it, and this particular art project is fantastically kid-friendly as it involves shaving the crayons into tiny shards before beginning the melting process. 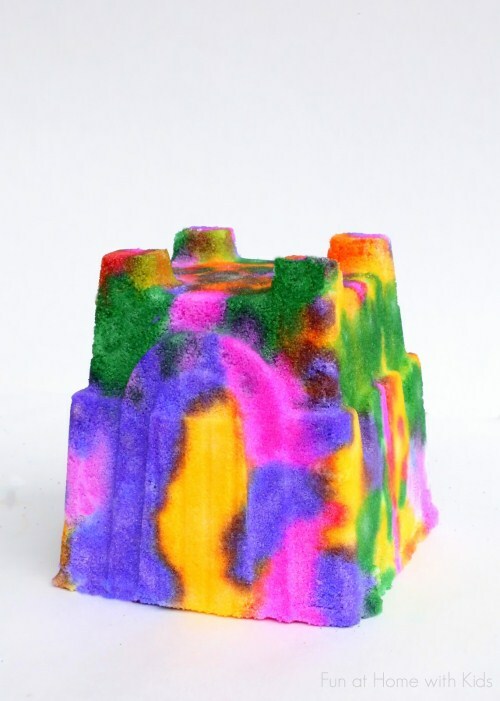 Other projects involve melting whole crayons, which can involve a fair amount of time and heat (and the potential for mess) whereas this crayon melting project is perfectly suited for children. It’s an excellent way to make good use of a packet of crayons that has seen better days. 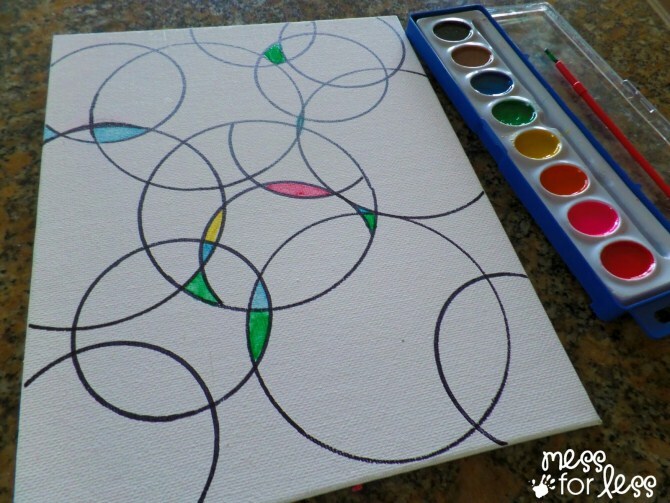 It’s amazing what can be created with a blank stretched canvas, some circles to trace around, and markers or paints. This art project is the perfect example. What child doesn’t love stickers? 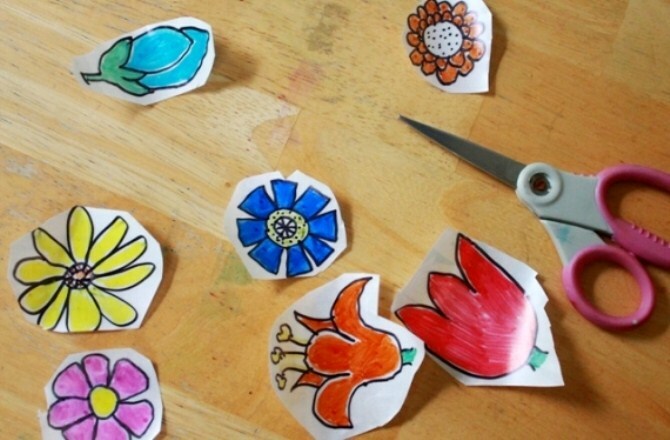 Most kids will jump at the chance to create their own personalised stickers, and will be glad to have done so every time they come to decorate a greeting card or letter in the future and can pull out their own set of one-of-a-kind handmade stickers. 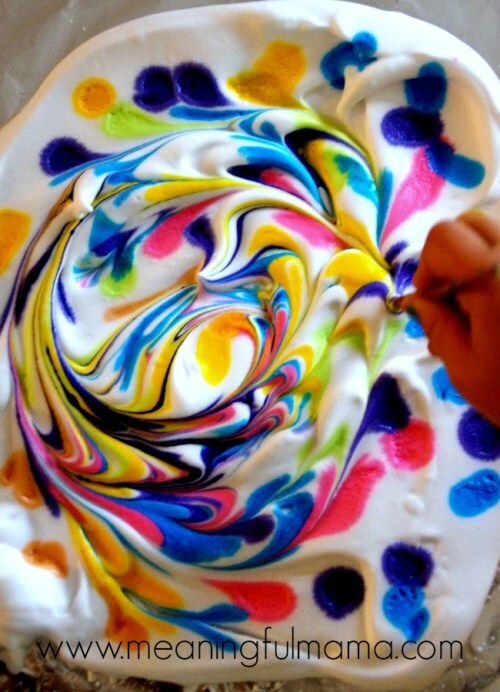 Many kids are fascinated by shaving cream (or whipped cream, or anything else that magically transforms and grows after being sprayed out of a can) so they would relish the opportunity to use shaving cream and food colouring to make their own artwork pieces. The best part of this art project is that the resulting artwork won’t make the usual rounds: time spent on the fridge; followed by a quick trip to the garbage bin. Instead, it can be saved and used again to create greeting cards, binder covers, and the bases for scrapbooking pages. Hopefully the above ideas will have inspired you to work together with your children to create some amazing pieces of artwork. And when you’ve realised that your children have worked straight through lunch, giving their full attention to the task at hand, make sure you take a photo of the finished product and have it printed on canvas to preserve the memory of some of your children’s first artwork pieces.